meghan + pat met each other at age 11, attending both middle school and high school together, but pursuing different interests thru college. so different in fact that Meghan submitted this entry from honduras, where she is working with the Peace Corps helping people living with HIV and AIDS and focusing on HIV-prevention education. to her utter surprise, pat used all of his vacation time and all of his savings to visit meghan with a proposal-of-marriage that came "right in the middle of a honduran rain forest"
*woo-hooo* now THAT makes us smile. nearly every day WE have at least one classic "i love lucy" moment. yet good-hearted man finally, yes, arrives! and now, (whew) with stomach pain subsided and nerves grounded, our leading man can stand! walk!! dropping to one knee, pulling the ring from his pocket, one last big breath of confidence, THE question is finally asked. to which our leading lady responds . . . .
with complete + utter laughter. "meghan, do i have to beg here?" 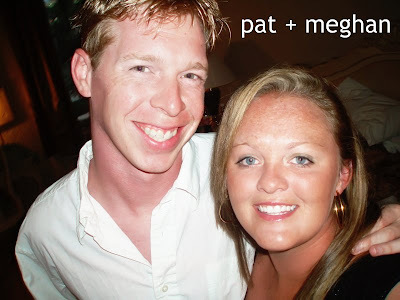 oh yeah, meghan + pat are absolutely a SilverBox kind of couple! "I am now finishing up the Peace Corps and I am headed home (Arlington, VA) in one month. Even after almost 11 years of dating and 14 years of friendship, I feel butterflies in my stomach when I think about the fact that Pat and I will finally be in the same place at the same time. I am so used to having to go months without seeing him, and I know how lucky I am to see him now every day, for the rest of my life." meghan, WE feel lucky that you're considering SilverBox to document your celebration and would delight in creating your pictures during the biggest butterflies-in-stomach day of all.